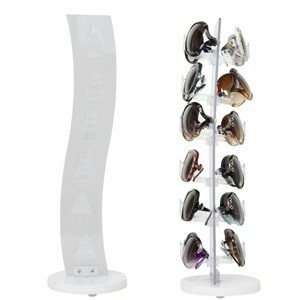 This is a nice looking counter top display for sunglasses what measures just 18 inches in height, making it a perfect for limited space. • Height 18 in. x Width 8 in.